Sun-Kissed Power: 16 Wolff Bronzing Lamps & 16 SunFusion Face & Arm Lamps! This tanning bed truly packs the healthy power of the sun. The Solar Storm 32S with Face Tanning Lamps offers 32 total lamps loaded into an attractive tunnel design that comes in your choice of three colors: black, red or silver. While the 12 Wolff high output lamps will effectively bronze your body, the perfectly placed SunFusion face and arm lamps (eight face lamps and eight face and arm lamps) will go deep into the contours of these areas, providing a solid, even tan. 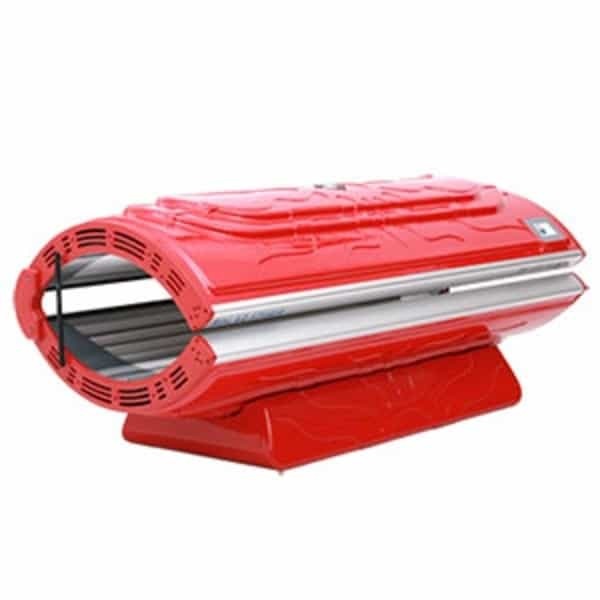 While the sun-kissed power of the body, face and arm lamps are truly attractive, Solar Storm was sure to pack other great features into this 32 lamp tanning bed. It showcases efficient reflectors and electronic ballasts. 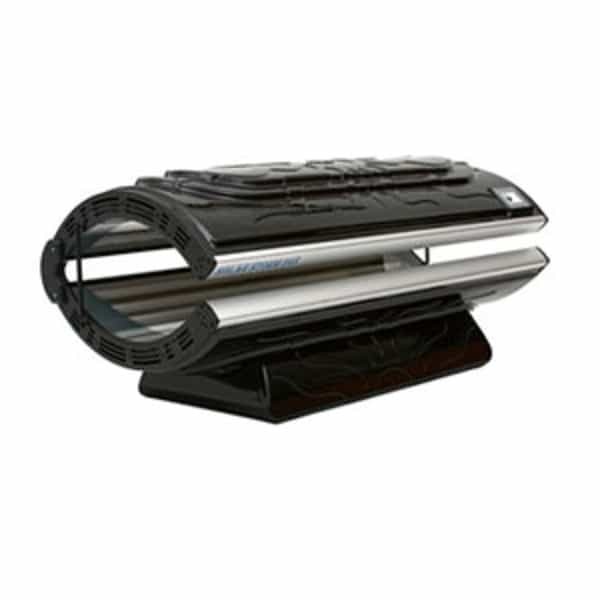 A marvel in the tanning bed industry, the Solar Storm 32S Tanning Bed comes with free shipping nationwide from Family Leisure! NOTE: No longer comes with the bottom side skirt pieces as shown in some images. Now features front bottom skirt only.